The Corner Café & Deli is a New York Style Deli serving Breakfast, Lunch and Catering in Downtown Tampa's Wells Fargo Center. We exclusively use Boars Head Meats and Cheeses on our entire One of a Kind Sandwiches and Wraps. All of our menu items are made fresh to order. We are known for our homemade Chili, Soups, Overflowing Salads and Daily Hot Specials. We also have a large variety of grill items Juicy Burgers, Boars Head Hot dogs, and Scrumptious Cheese Steaks. Family owned and operated by Jeff Cofini since 2010. Specializing in Corporate Catering. 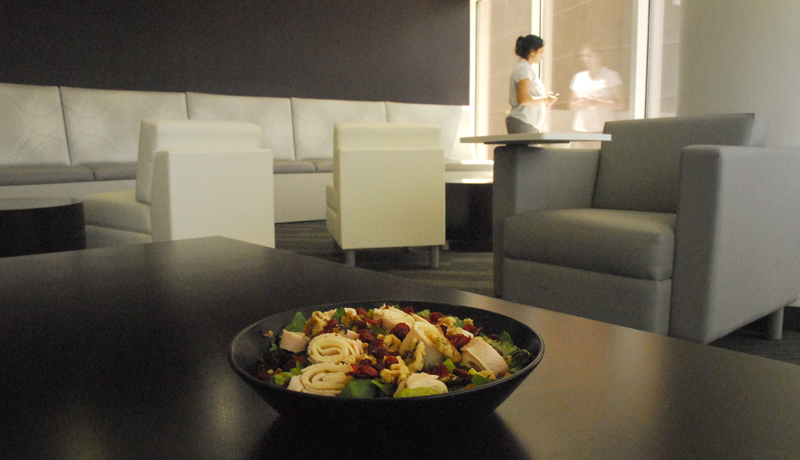 We provide professional and affordable catering to the corporate, business community of Tampa Bay. All of Our Catering is custom made to your catering needs. Giving you personalized service, to help make the planning easier. Contact us for a personal appointment to learn more about our Catering Services.